The Javan Tiger is the middle sized tiger species that made its home in the Indonesian islands. Larger than the Bali Tiger yet smaller than the Sumatran Tiger the Javan Tiger as the name suggests lived on the island of Java up until its extinction which occurred some time in the 1980’s. The Javan Tiger could grow up to a length of 8 feet and weigh in at around 300lbs with females of the species being smaller and weighing slightly less. 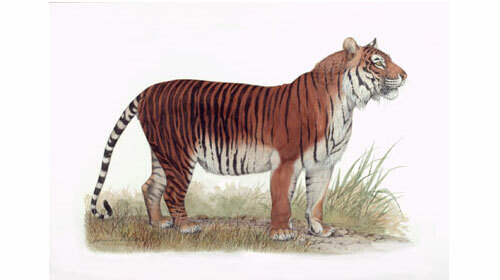 The coat of the Javan Tiger was deep orange with long, thin, dark stripes that were more numerous than that of its larger relative the Sumatran Tiger. As with both the Sumatran Tiger and the Bali Tiger Bergmann’s rule applies to the Javan Tiger. Bergmann’s rule details that the size of the predator, in this case the Javan Tiger is dependent on the size of available prey. This theory fits as the Javan Tigers prey was indeed smaller than that mammals on Sumatran. The Javan Tiger’s were slowly but surely forced into smaller areas of Java over the years starting at the end of the 18th century when the tigers were widespread but considered a pest by humans. by 1940 the Javan Tiger’s had retreated unto dense forests and mountainous areas and in the next 30 years the Javan Tiger could only be found on Mount Betiri which was eventually formed into a nature reserve to protect the species. 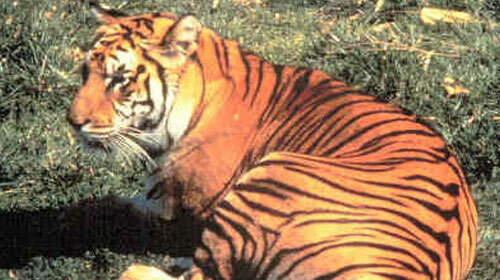 The last confirmed sighting of the Javan Tiger was in 1976. 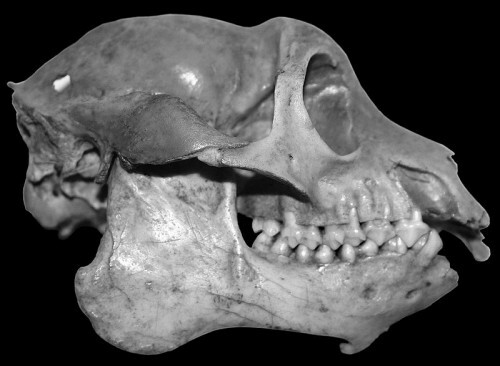 There were a handful of factors that contributed to the extinction of the Javan Tiger, mostly human in origin. As humans expanded on Java the practice of poisoning the Javan Tiger’s and their prey was common as they were seen as a plague. The Rusa Deer which was the Javan Tiger’s main food source was also decimated from disease in the 1960’s. After World War 2 most of the forest land was severely fragmented due to the expansion of rubber and coffee plantations, this coupled with armed groups intentionally killing the Javan Tiger’s destroyed the population. Although considered extinct there are still reports of Javan Tiger’s to this day however the credibility of these reports are questionable and none have been proven as of yet. Leave them alone, leave em alone! isnt there a way to revive then? I just Love tiger’s. I wish this type was still aroung more to learn about. But it’s not, so lets try to prevent this from happing in 2010 and on! Aw man! Tigers are my fave animal! They are so cute! Leave the animals alone! Don’t let the Siberian TIger and Norwhal go extinct! This is so sad why do people kill these poor animals?